Evan Mitchell is proving to be one of Canada’s most innovative and sought-after young conductors. 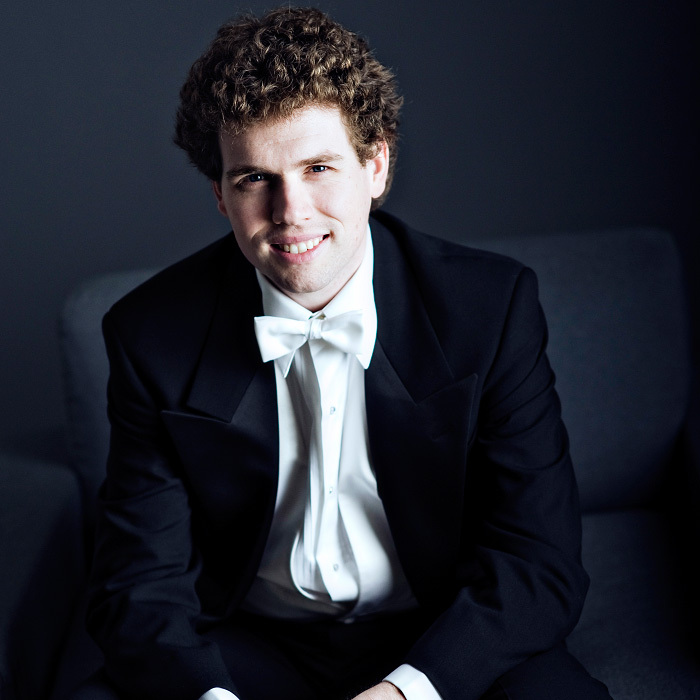 Having recently finished hugely successful residencies as Assistant Conductor of the Vancouver and Kitchener-Waterloo Symphony Orchestras, Mr. Mitchell has assumed the post of Music Director with the Kingston Symphony Association for the 2014-2015 season. He has garnered significant critical success as well as consistent praise for his approach, execution and musical results. Over the course of his residencies, Mr. Mitchell conducted over 200 concerts, acted as a Canadian ambassador during an historic two week tour of China, Korea and Macau, and served as an official consultant to the Vancouver Olympic Committee and Assistant Producer for the recording of the medal ceremony national anthems. In addition to his musical achievements, Mr. Mitchell has been profiled extensively for his commitment to concert initiatives. He has been personally responsible for the writing, recording and production of behind-the-scenes concert video series, podcasts aimed at the layperson, and visual enhancements during concerts in order to give a richer, more informed experience to concert-goers. His videos have been widely featured abroad for both publicity and educational purposes, and his initiative using smartphones as a “silent tour guide” during live concerts in real-time was hailed as the best technological innovation in the symphony concert hall of 2014 by the CBC. Mr. Mitchell is also invested in Canadian repertoire, having premiered over 50 new Canadian works over the course of his career. Recently Mr. Mitchell premiered Ryan Trew’s Taste to universal acclaim resulting in programming the work on two subsequent concert series. In 2015, Mr. Mitchell will premiere Darren Russo’s opera Storybook with Toronto-based company Opera 5. Recent career highlights include Principal Conductorship of the World Harp Congress in which Mr. Mitchell conducted eight harp concerti with some of the world’s best harpists. Mr. Mitchell made his conducting debut with the Toronto Symphony Orchestra in the 2011-2012 season after a last-minute cancellation and has subsequently been re-engaged by the Toronto Symphony for multiple concert series. He has also conducted a hugely successful concert with violinist Elizabeth Pitcairn, owner of the Mendelssohn Stradivarius “Red Violin”. After this concert, Mr. Mitchell was offered the Music Directorship of the Prince George Symphony. He was also appointed as Musical Consultant, Chief Program Advisor and Conductor for a partnership with the Kitchener-Waterloo Symphony, the Sony Centre for the Performing Arts, and the Hunan Province Chinese National Acrobats, for an enthusiastically received series of concerts and the first of their kind in North America.